RIAs moving client assets between accounts should understand that the SEC applies custody rules to their firms in such cases, WealthManagement.com writes. 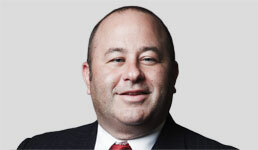 Merely having a letter of authorization from the client for the transfer doesn’t exempt RIAs from being treated as custodians, Brian Hamburger, founder of regulatory compliance and consulting firm MarketCounsel, told advisors at a recent BNY Mellon’s Pershing Advisor Solutions Regional Symposium, according to the web publication. The regulator clarified earlier this year that RIAs entering into an arrangement with a client allowing them to withdraw funds or securities in effect get custody of the client’s assets and must therefore adhere to the custody rule, WealthManagement.com writes. That in turn opens RIAs to a surprise examination and an audit of the assets, according to the publication. And starting in October, RIAs must list all assets subject to the custody rule on their Form ADVs, according to the SEC’s letter cited by WealthManagement.com. To get an exemption from the surprise exam and audit, RIAs can get clients to agree to the transfers directly with the custodian of the accounts, Hamburger said at the conference, according to the publication. In addition, he said RIAs don’t fall under the custody rule in cases when the assets are transferred between accounts within a qualified custodian. Hamburger also told attendees of the conference that the Department of Labor rolled out its fiduciary rule in “an effort to bypass the SEC because they haven’t engaged in rule-making.” The DOL rule, which purports to require retirement account advisors to put clients’ interests first, went into partial effect last month but faces the threat of repeal on several fronts. To read the WealthManagement.com article cited in this story, click here.